Register for the My Better Half Marathon today! This registration is for the half marathon distance at the My Better Half Marathon. Registration Limit: 880 spots left. March 1, 2019, 7:00am PST October 31, 2019, 11:59pm PDT $75.00 Race Fee + $6.10 SignUp Fee ? November 1, 2019, 12:00am PDT December 31, 2019, 11:59pm PST $80.00 Race Fee + $6.50 SignUp Fee ? January 1, 2020, 12:00am PST January 31, 2020, 11:59pm PST $85.00 Race Fee + $6.90 SignUp Fee ? February 1, 2020, 12:00am PST February 5, 2020, 6:00pm PST $90.00 Race Fee + $7.30 SignUp Fee ? This registration is for the 10K distance at the My Better Half Marathon. March 1, 2019, 7:00am PST October 31, 2019, 11:59pm PDT $44.00 Race Fee + $3.98 SignUp Fee ? November 1, 2019, 12:00am PDT December 31, 2019, 11:59pm PST $49.00 Race Fee + $4.08 SignUp Fee ? January 1, 2020, 12:00am PST January 31, 2020, 11:59pm PST $54.00 Race Fee + $4.42 SignUp Fee ? 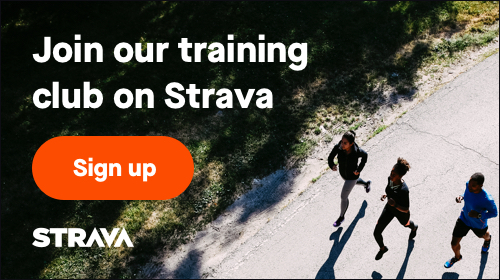 February 1, 2020, 12:00am PST February 5, 2020, 6:00pm PST $59.00 Race Fee + $4.82 SignUp Fee ? This registration is for the 5K distance at the My Better Half Marathon. This registration is for the Half Marathon Relay. This option is for 2 people who as a team will complete the 13.1 miles in a relay style fashion (only available for the Half Marathon). March 1, 2019, 7:00am PST October 31, 2019, 11:59pm PDT $57.00 Race Fee + $4.66 SignUp Fee ? November 1, 2019, 12:00am PDT December 31, 2019, 11:59pm PST $62.00 Race Fee + $5.06 SignUp Fee ? January 1, 2020, 12:00am PST January 31, 2020, 11:59pm PST $67.00 Race Fee + $5.46 SignUp Fee ? February 1, 2020, 12:00am PST February 5, 2020, 6:00pm PST $72.00 Race Fee + $5.86 SignUp Fee ?